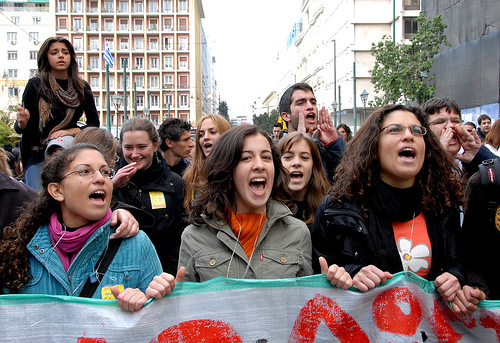 The current Greek government has the desire to reform the country’s education system. Part of the reform package is a change of Article 16 of the Greek constitution. Minister of Education, Marietta Giannakou, argues that this is necessary to allow the introduction of private universities in the country. Yet, there is more to this. The article guarantees free and public education for all Greek citizens and to many, a change of such fundamental principles will quickly lead to restrictions of the right to university asylum prohibiting police forces from entering university grounds. It was this right that allowed students to fight the dictatorship in 1973 — which makes it an untouchable right for many students and citizens. 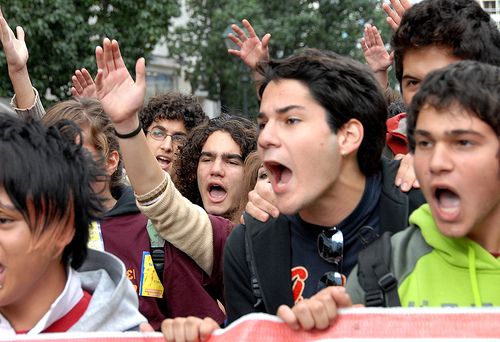 Already in 2006, the Greek education ministry tried to implement reforms but had to back off after the forming of a huge student movement that organised street demonstrations and sit-ins resembling French protest culture. «Pro-education forces throughout Greece took to the streets this week for an all-out offensive of marches and demonstrations to block a parliamentary vote on privatizing the higher education system. The day the vote went to Parliament, Jan. 10, was declared a day of nationwide action. According to inymedia, more than 15.000 people demonstrated alone in Athens against the attempt to constitutionalise the privatisation of education (source). 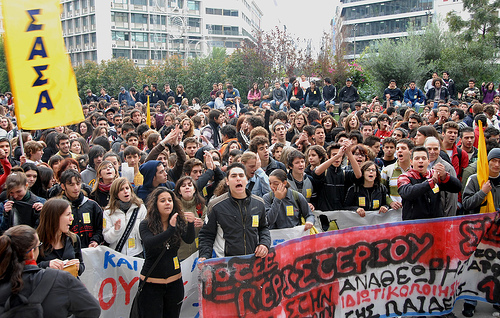 One week later, 20.000 went to the streets in Athens and 10.000 in Thessaloniki (source). The final vote of the Parliament is scheduled to be held before the end of March 2007. And while the discussion inside the parliament is not expected to be fierce, protests outside will certainly be.